We spent four nights there and felt as though we had barely scratched the surface. There are so many things to do in Bangkok that I’d recommend staying for at least a week – from exploring the historic and cultural attractions to indulging in budget retail therapy to your hearts content. This is Bangkok’s most iconic landmark and an absolute must-see. 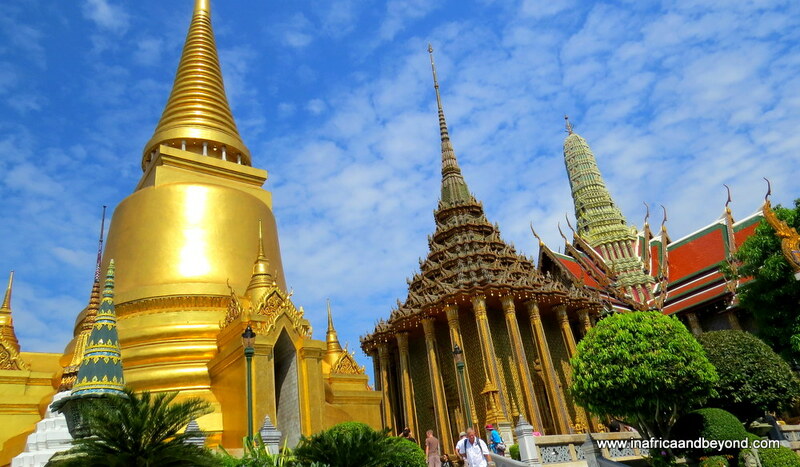 It is one of the most opulent palace complexes we have ever been to and consists of several stunning gold and jewel-studded, shimmering structures and historical buildings including Wat Phra Kaew (or the Temple of the Emerald Buddha). The craftsmanship is exquisite and we were awestruck. One can easily spend half a day exploring this complex alone. The Grand Palace complex is surrounded by little shops selling refreshments and souvenirs. We were there in December, two months after the passing of the beloved king, Thailand’s longest reigning monarch, who had passed away after seven decades on the throne. Mourners, clad in black, streamed in to the Grand Palace complex to pay their respects, in an area not accessible to foreigners. Several held up posters of the king. Their love for him and their grief at his passing were evident. Mourners stream towards the Grand Palace in Bangkok to pay their respects to the beloved late King. 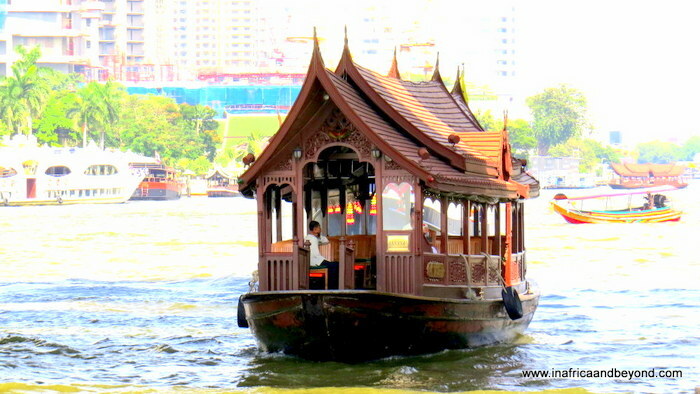 Hop on and off the Chao Phraya Express as you glide along the city’s main river and see the city from the water. As we had to cross the river to go to the Grand Palace, we did these simultaneously. The view of the skyline is amazing and the traditional boats along the river make for great photo opportunities. 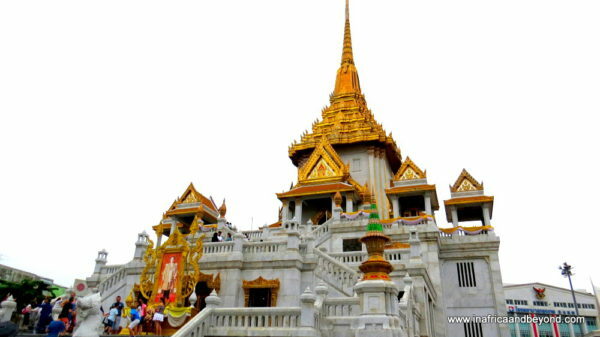 No visit to Bangkok would be complete without visiting some of its temples. Their architecture is unique and they give one an insight into the local beliefs and culture. It is also quite intriguing to see monks dressed in traditional saffron robes taking selfies with their smartphones at the temples. Some of the most famous temples are Wat Pho (the Temple of the Reclining Buddha), Wat Benchamabophit (Marble Temple) and Wat Traimit. Wat Pho features one of the largest Buddha statues in Thailand. 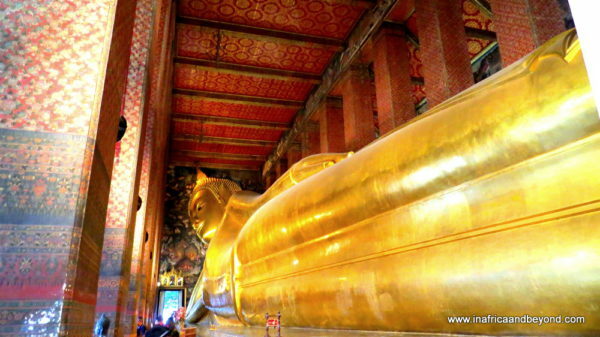 The reclining Buddha figure is gilded and measures 15 m high and 46 m long. Wat Traimit houses the world’s largest gold seated Buddha measuring nearly five metres in height and weighing five and a half tons (of gold). 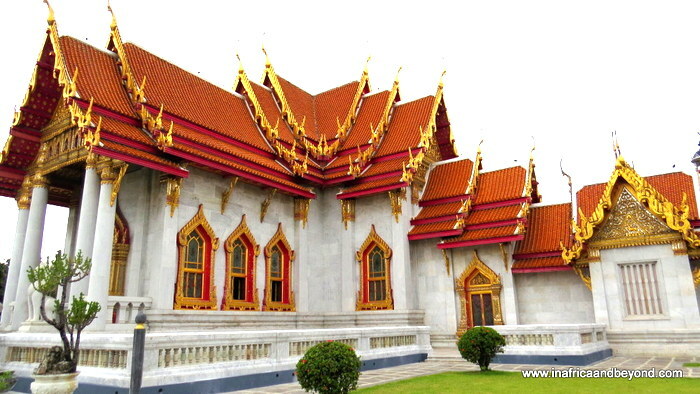 Wat Benchamabophit is an opulent marble temple. Wat Arun is another picturesque temple, especially at night, but it is currently undergoing renovations so we just saw it from the river. Bangkok is regarded as a shoppers paradise. The markets come in many varieties – day, night, weekend and floating are some of them. You can burn your bahts at the world’s largest weekend market, the Chatuchak Weekend Market, which has over 15000 stalls selling almost everything imaginable. We drove there on a Sunday afternoon with Uber, a few hours before it closed, and we saw a mere fraction of it. Photos of the exotic floating markets were one of the main attractions that lured me to Bangkok and I had to go and experience them for myself. Bangkok has several floating markets but Damnoen Saduak, located about 100 km away, is probably the most popular one in the surroundings. We went there on a half day tour. En route we visited a coconut farm and saw how coconut sugar was made. (I had no idea there was such a thing). Near the floating market, we stopped and took a longtail boat to the market. We passed traditional houses where the locals living there went about their daily chores as we sped through the water. At the market, Thai women in bamboo hats sold fresh produce, Thai delicacies and other items from canoes as they paddled along the water. Our tour guide told us that there were several floating markets that had already closed down. Even the one we visited would probably not be around in 20 years as many of the vendors were old. Once they passed on, their children were not likely to continue this tradition. The market was rather crowded with tourists – nevertheless I still enjoyed the experience. See more great day trips from Bangkok. I bought delicious coconut pancakes from this beautiful lady. 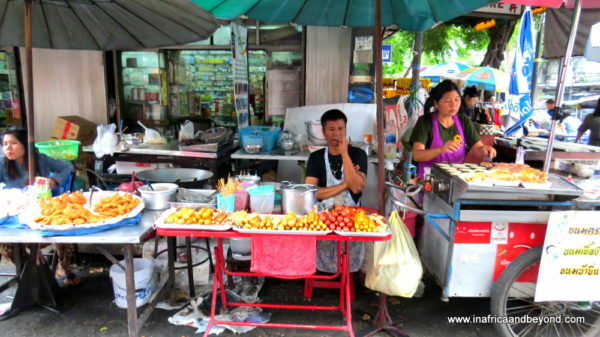 Most major roads and markets have street vendors standing at carts piled high with tantalising street food. The variety is astounding and you will find umpteen noodle varieties, exotic fruits, grilled seafood, satays and even drinks. We enjoyed many of them and indulged in a lot of iced coffee too, which is freshly made hot instant coffee, cooled with ice cubes and sweetened with loads of sugar. In Thailand, massages are considered to be more of a health necessity than a luxury which is why I have never seen so many massage parlours in one place as I did in the streets of Bangkok. There are neon signs advertising Thai massages everywhere. What’s more, they are quite cheap at around 250 bahts (R100) for a one hour massage. I went with my daughter. We were told to leave our clothes on and the therapists proceeded to work on us. Thai massage is a combination of acupressure, reflexology and yoga techniques. Instead of a relaxing muscle rub, our bodies were compressed, pulled, stretched and twisted. When it was over, we laughed about the whole experience. Magically, I felt re-energised too. 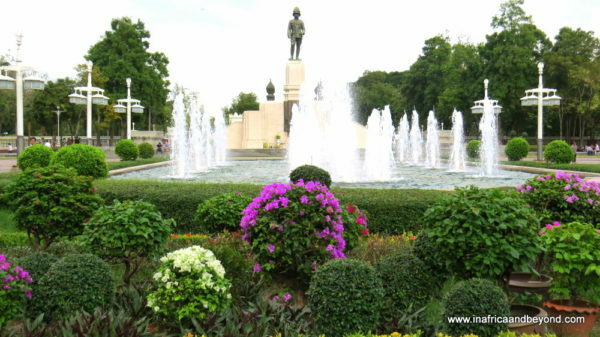 If you need some relaxing downtime amid nature, Lumphini Park is a wonderful green oasis in the heart of the bustling city where people come to jog, exercise, socialise and play. The lush greenery surrounds a lake where you can go on a boat ride, and see ducks and water monitors too. It was near our hotel so we took a walk there but you can also get to the park via the skytrain. Although we do have them in South Africa, the experience in Bangkok will be totally different. 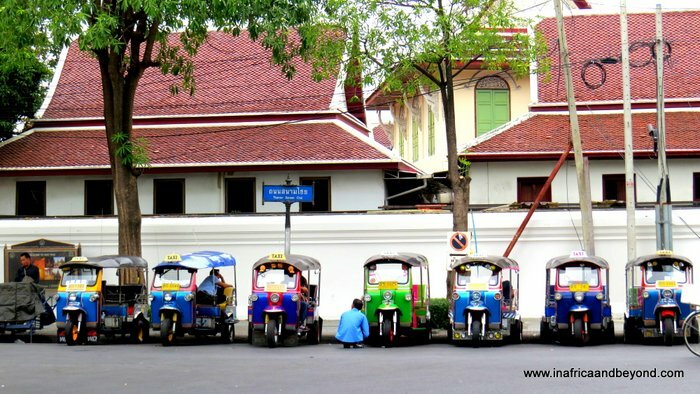 The tuk-tuk drivers here are daredevils who race frantically through the traffic, finding back roads and alleys until they get you to your destination – in one piece, albeit a bit shaken up. Many are uniquely decorated. My kids enjoyed it and so did we. Bangkok is so different from African, European and American cities. Walking and exploring the side streets and street markets will reveal so many different things about the city. Tradition combines beautifully with modernity here and there are surprises – and photo opportunities – on every corner. These are just some of the things to do with kids in Bangkok . Had I known there was so much more to do there, I would have definitely stayed longer. Did you know that Bangkok has the longest official name of any place in the world? The full ceremonial Thai name translates roughly to “City Of Angels”. Bangkok was established as the capital of Thailand in 1767 and has been the cultural and historical center of Thailand ever since. 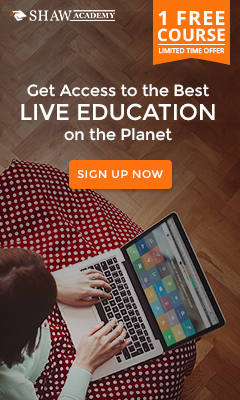 Here’s a great guide on Planning a trip to Thailand . If you would prefer a luxury business and/or family hotel, I would recommend Crowne Plaza Bangkok Lumphini Park. If you prefer a self-catering apartment, perfect for longer stays, I would recommend Somerset Park Suanplu Bangkok. 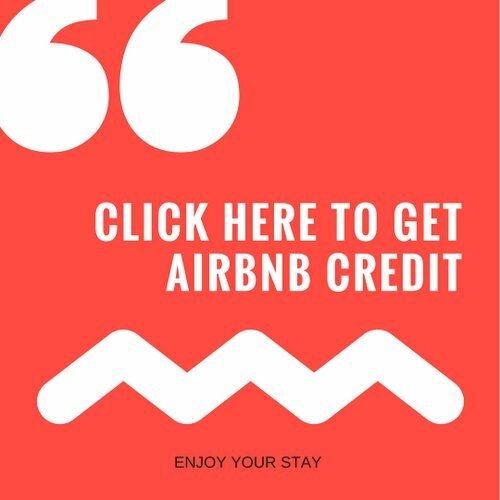 Click here for the best hostels in Bangkok. 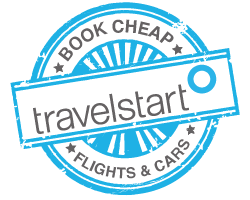 Click here for the best flight deals to Bangkok. For more hotels in Bangkok, click here. Have you been there? 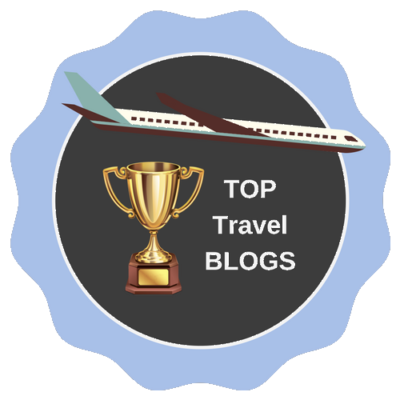 What are your favourite things to do in Bangkok ? Disclosure: Some of my activities were sponsored however all opinions are my own. 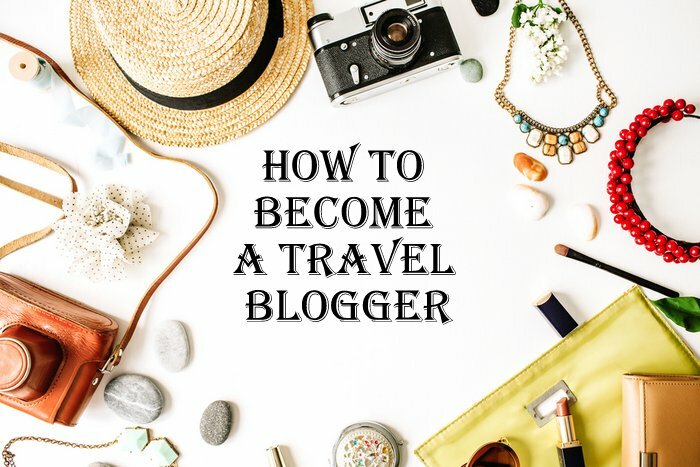 I’ve wanted to visit Bangkok for a while, but I’m not really into the nightlife scene – this works as a great guide for me! I’d love to visit those temples! I loved Bangkok, especially their street food and night market. I actually stayed in Phuket for a week before heading over to Bangkok, and I felt so much safer in Bangkok than Phuket -less harassment by the locals. I remember just walking past a tattoo shop and all a sudden someone just pulled me a side and asked if I wanted a tattoo, it’s cheap he said. Like I would want a permanent mark on my body just because its cheap. lol I would definitely take my nieces and nephews around Bangkok and explore since it’s tourist friendly, even the non-touristy areas. Thank you for these recommendations. Thank you Yuen. 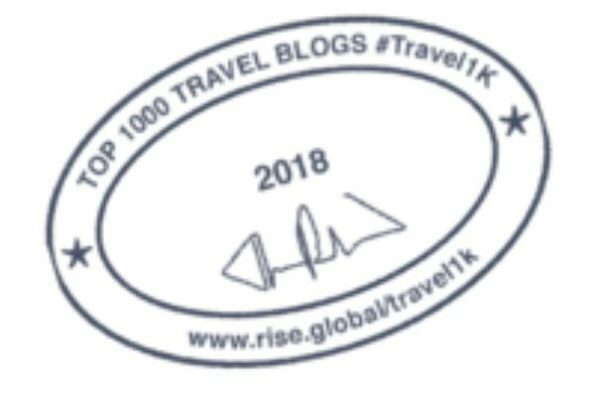 I noticed that in Bangkok, everyone would just do their own thing whereas in the very touristy parts of Phuket, you would get constantly harassed, but fortunately I stayed away from those parts for most of the time I was in Phuket, too. Bangkok is an amazing and fun city but it can offer sensory overload, especially for kids. 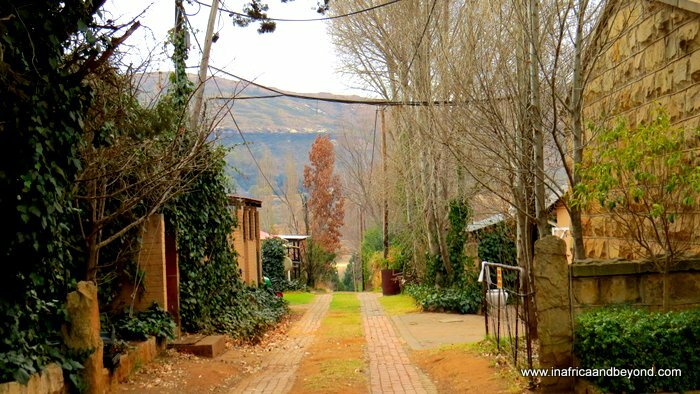 I think finding a quieter area to stay is a very good suggestion. Great list of things to do in Bangkok. I’ve been before too and loved the floating markets. I never knew that Bangkok was the longest official name for a place! I love your guide ! Also, it`s lovely to see that you travel and explore the world, even if you have little children. I know I wish I would have seen exotic places when I was little ! Thank you Claudia. I didn’t get much opportunity to travel and explore when I was little either, so I’m glad that I can give my kids the opportunity. Thank you! There is so much to do and see in Thailand. Now I know why some people go for weeks and others for months. I have fond memories of visiting Bangkok as a child – there’s so much to do and the energy is electric! Your family must have had such a blast. 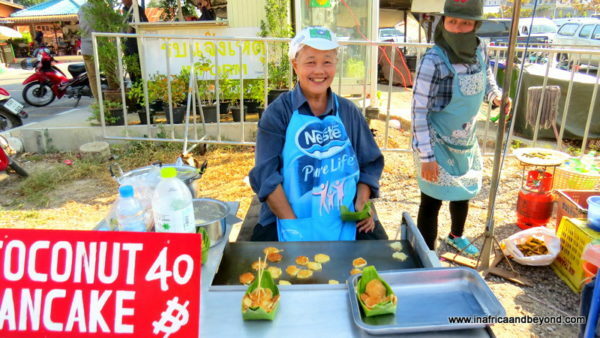 I didn’t realize that the famous floating market was so far away – will have to add it to my list of things to do in BKK! I have been to Bangkok numerous times and your post brings back just lovely memories. My favourite was the massage! I have never been in the river, but now , after reading your post will do it when I go next! I’m always drawn to the river cruises and boat rides so if any city has them, it’s a bonus for me. I’d love to have those massages once a week! Bangkok is such a great city and the palace and the temples are so impressive. I can imagine kids would like it. I also did a cooking class when I was there so that might be something kids would like as well if they are not too young….. I really enjoyed the Thai food and would have loved to do a cooking class with the kids – if only I had more time! Great post! I didn’t spend as much time in Bangkok as the other cities, but I plan to next time. Looks like you had an amazing time! Thanks Megan. I also under-estimated the amount of time I’d need in Bangkok. Next time , I’ll spend a week there. We have often thought about visiting Thailand with kids, and I think they’re big enough for it now. 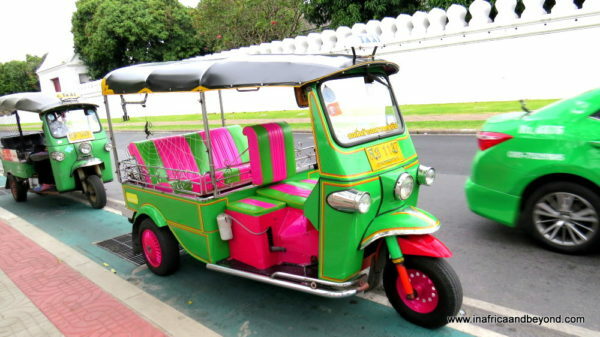 The floating market and the tuk-tuk would be the highlights for sure! Saving this for later, not enough time to travel to all the beautiful places we still want to visit… Maybe next year. Did you visit any other places in Thailand on this trip? Wondering what’s the best way to travel around as a family. The kids will really enjoy it – it’s so exotic. We also flew to Phuket from Bangkok. It was totally different to Bangkok but we really enjoyed it too. I’m going to be writing about that soon.